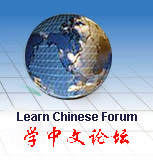 There are four teacher’s hand books for Learn Chinese with Me. The comprehensive teacher’s hand books provide step-by-step instructions for practicing and reviewing the language and skills in each lesson. Also included are the editors’ guiding principles for writing Learn Chinese with Me, suggestions for teaching strategies, language and cultural notes. Its companion student’s text books, workbooks are available. This order is for teacher’s hand book Volume One only.